Our webcam gives you a glimpse of the exceptional views of Paris and its monuments as seen from the Montparnasse Tower Observation Deck. Thanks to our camera, you can enjoy the most beautiful views of Paris live! Its location in the heart of the city endows it with a breathtaking view of the capital’s rooftops, streets, and monuments. 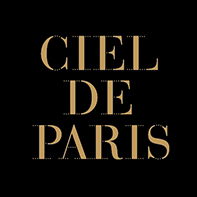 Available 24 hours a day, regardless of the weather, it allows you to see Paris from above just like if you were there! In the panorama below, you can zoom in on any of the 12 iconic sites that are visible from Montparnasse Tower, filmed in real time: Notre-Dame, the Louvre, les Invalides, the Eiffel Tower, the Arc de Triomphe, Paris City Hall, Sacré Cœur, the Saint Jacques tower, Place de la Concorde, the Jardin du Luxembourg, Saint-Sulpice church, the Palais Garnier opera house: see Paris as if you were really at the top!